Thanks for requesting more information about Wimp 2 Warrior. Here are some resources we thought you might find helpful! 1. What do previous participants say about Wimp 2 Warrior? Read more previous participant interviews. How much does Wimp 2 Warrior cost? Included in your fees are more than 100 tailored sessions designed to have you ready for your fight at the finale. Also included are nutritional advice, a Wimp2Warrior fight uniform, and protective equipment (this includes shin guards, 16oz boxing gloves, 8oz MMA gloves, and wraps) and access to your private competitor forum. 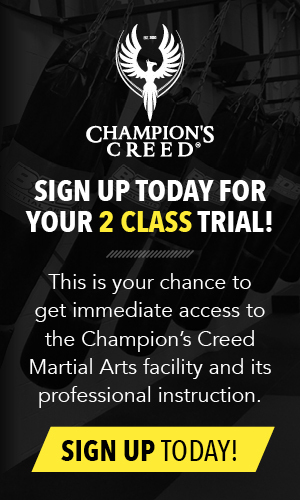 Here's how you can pay for your 20 weeks of elite MMA training. Deposit is due once you are selected for the program. Step #2: Choose to pay in full or with easy monthly payments. Option A: Pay In Full - $1700 + GST. Payment is due after 1 week of training. Option B: Easy Monthly Payments - $149 + GST for 14 weeks. Is Wimp 2 Warrior Safe? This is a contact, combat sport, and bumps and bruises will happen. This program has been designed with competitor safety at the forefront. It’s created to strengthen your body, and while there are lots of basic technical movements to learn, you will slowly progress to higher stages of training as you get stronger in order to minimize any injuries. We run a very strict ruleset that is passed down internationally. Our competitors compete in 8oz gloves, which are bigger and more padded than what you see on TV. Our referees are heavily briefed to ensure all of our competitors are kept very safe during the Finale, and of course under professional guidance and support from your experienced coaches. What if I can't afford the training fees? How much do I spend each week on coffee, sandwiches, takeaway/takeout meals? How much am I spending each week on alcohol? Do I have a gym membership I’m not presently using? How much money would I pay right now to be in the best mental and physical shape of my life? All these questions help clarify for so many of our Warriors how much money they will save by adopting a new lifestyle, and thus so many have told us at the end of the 5 months they actually had more money than before they paid for Wimp 2 Warrior. When you consider the value of the equipment, the fight uniform and the nutrition resources and you divide the remaining cost of the program by 100 sessions, then the per session cost is actually equivalent to that of a boot camp or some other campaign-based program. Considering you’re being trained by high-level coaches and learning the skills you’ll need to fight in just 5 months, then the value is pretty amazing! We have kept Wimp 2 Warrior fees as low as practicable while not cutting corners on the level of service you will receive from us and your coaches throughout the full duration of the program. And we're still providing competition-rated equipment, a fight uniform, and high-quality nutritional guidance and resources. Lastly, what we know without any doubt is that thousands of Warriors throughout the world have said that completing Wimp 2 Warrior is one of the best things they have ever done. So if you’re sincere about investing in yourself and creating healthy habits, mental strength, self-confidence and a lean body that represents the very best version of you, then we have a flexible payment plan to help you achieve all of this over 5 months! Who does the Wimp 2 Warrior Challenge? The Wimp 2 Warrior Challenge is aimed at people with little to no MMA experience at all, at any age! Our youngest Warrior is 17 and our eldest Warrior is 57! The Tryouts are nothing more than a good workout which is FREE! It's a chance for the coaches to meet those that have applied and put a face to the name to ensure they have a great bunch of humans to take on the journey. All they're looking for on the day is heart, and provided you go along, there’s every chance you will be selected to participate in the program. Is it normal to feel nervous before Tryouts? You've already done the hardest part by submitting your application to us and booking in for Tryouts! Many don't even get that far. 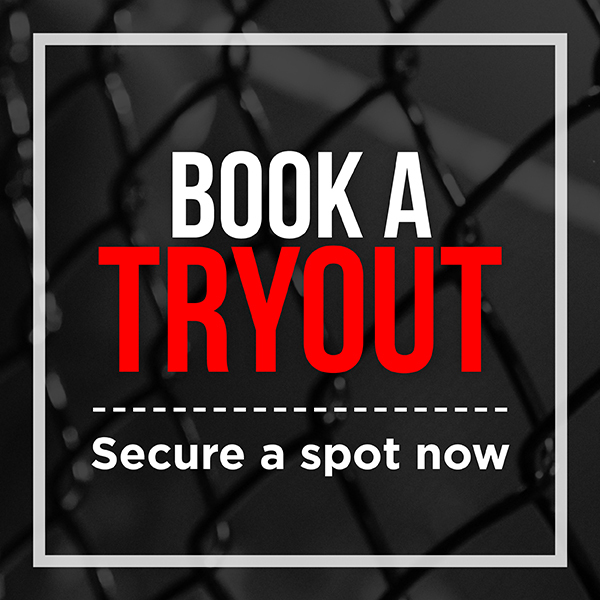 Tryouts are not scary; we understand it can be nerve-wracking and slightly intimidating, especially if you've never stepped foot in a Martial Arts Gym before! We assure you, once you get to the gym and see yourself surrounded with ordinary people just like you, looking for that extra something from a training program, you'll be just fine! You'll be welcomed with open arms by the coaching staff and most of all, you'll have a fun workout and will no doubt make some new friends too! What do I bring to Tryouts? All you will need to bring is a water bottle, a towel and your Warrior attitude! What if I really can't make those training times? Can I just attend other classes over the 5 months? Training times that are set are compulsory for The Warrior Training Program. This is to ensure that all competitors train progressively through the techniques and conditioning elements of the program at the same time and pace. The Warrior Training Program has been built and refined over a 6 year period to build incrementally, session upon session so that the foundations are created to accelerate your learning. Further, this is to ensure that ALL our competitors have built the requisite skill base to compete safely and competently in an amateur MMA bout at the Finale. Lastly, in order that your matchup is as fair as possible, our coaches need to observe you training, rolling and sparring with others in the program in order to pick the best and most competitive matchups. Wimp 2 Warrior is a very special journey, and one of the best parts is the lifelong friendships that are built along the way, hence the reason you’re only able to compete if you can train at the specified times. What if my work schedule interferes with my training? From time to time during the course of a 5-month Wimp 2 Warrior training program, it is inevitable that work demands will mean that some sessions will be missed. The most important thing to ensure during these occasions is that you communicate openly and transparently with your coaches so that they may set you some “ homework” in terms of making up for the odd session that you may miss. It’s inescapable, however, that each competitor must be personally accountable for their own attendance and commitment to training. Completing this journey is hard. That’s the point. It’s hard because you’re doing something extraordinary to prepare for something truly extraordinary, your first MMA bout! So the only way you will reap the full benefits of the program and reach your full potential is by staying accountable and maximizing your attendance. In our experience, many work colleagues and bosses will be very supportive of you taking such a bold challenge and will be there on Finale night to cheer you on in your fight! So, communicate openly and clearly with coaches and employers alike and it will all work out well! How long are the sessions & what happens if I miss them? The training program runs for 20 consecutive weeks, and are usually early morning training sessions for 60 minutes, Monday through Friday. For the first few weeks of any training program, you will have a rostered ‘recovery day’ meaning no training that morning. This is to ensure our competitors don’t overdo it in the first few weeks while your bodies are adjusting to the early wake-up calls and your new training routine. We encourage all of our competitors to attend as many of the scheduled sessions as possible not only for your own good of developing that Warrior mindset but by being accountable as you are there to support your fellow teammates on the mats each day. You become a training partner and a student, and by doing so you become the very best version of YOU. Inevitably there will be a need to miss a training session due to sickness or perhaps you have a pre-booked holiday, and this is generally fine as long as your coaches are aware of any time away. Be upfront about your reasons for non-attendance, and the coaches will be flexible and happily work out alternate arrangements for you. What if I am recovering from an injury or get injured before my tryout? In these cases, we always advise you to go along anyway. Even if you’re unable to actively participate, the primary purpose of tryouts (aside from the free workout!) is to get to know your coaches, check out the facility, and meet some amazing people keen to embark on the same journey as you! Depending on the nature of your injury or how far you are into recovery, you have the opportunity to speak personally with the highly trained coaches running the Warrior Training Program to determine your ability to commence training. We’ve had countless people make modifications to the work they can do during the 5 months and still make it all the way through to fight at the Finale. The key is to meet your coaches and commence dialogue regarding any physical impediments you believe you may have as our coaches have the knowledge to adapt your training in order to avoid further damage or aid your recovery. Of course, it is always our explicit recommendation that you speak with your doctor regarding all matters that relate to your health. I just don't have time for this. There are 84,600 seconds in a day; it's what you do with them that counts. People often think they don't have time or are put off by the early starts. We’ve seen time and again in our testimonials that one of the biggest benefits is transforming to become a "morning person.” And when you add to that other supporting factors, like improved diet and motivated coaches, trust us when we say you’ll feel more energized and with more time than before! 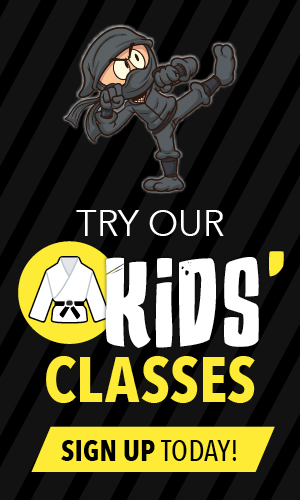 We welcome a range of potential competitors, from absolute beginners through to BJJ blue belts or even higher in other forms of martial arts. On this basis, we encourage everyone to attend tryouts and to meet and speak with the coaches. Every person who attends tryouts will be considered as a potential competitor on a case by case basis. The only instance where someone is immediately ineligible is where they have previously competed in a sanctioned MMA bout as this is deemed too significant an advantage against others who’ve never competed before. So while you may be skilled to some extent in Muay Thai, BJJ, wrestling or boxing, we are very confident that the syllabus the Warrior Training Program offers in MMA will provide enough variation and diversity such that our coaches will always be able to create the most fair and even matchups. Naturally, some competitors will pick up some techniques more quickly than others, hence is the beauty of Mixed Martial Arts. Rest assured, however, should you make it all the way to fight at the Finale, you will only ever be matched up against someone of comparable skill, fitness and experience to yourself. The fairest possible matchup is at the very heart of the integrity of our program and our company. What if I am afraid of getting hurt? Rest assured you won't be thrown into the series Finale without the appropriate training. Our program is carefully built to ensure your fitness, skills and mental strength are all developed properly before any live drills are introduced. Sparring and grappling commence at a light intensity and build naturally over the duration of the program. So while you’ll at times feel nervous and tested, the contact is also something you’ll feel ready and eager to do. This is a contact, combat sport, and bumps and bruises will happen. This program has been designed with competitor safety at the forefront. It’s created to strengthen your body and while there are lots of basic technical movements to learn, you will slowly progress to higher stages of training as you get stronger in order to minimize any injuries. The Finale is a professionally sanctioned amateur mixed martial arts event in the celebration of the completion of 20 weeks training, where competitors compete for the first time in front of a huge crowd of family, friends and colleagues. This is a massive highlight and bucket-list experience for everyone at the conclusion of their Wimp 2 Warrior journey! Do I have to compete in the Finale? The whole point of Wimp 2 Warrior is to provide a platform where men and women get the opportunity to step outside their comfort zone and do something so beyond what they thought previously possible. The Finale at the end is ultimately the graduation; it’s the point of true empowerment and a chance to really prove to yourself that with the right determination and motivation you really can do anything. With competitor safety at the forefront of all of our programs, if the coaches feel a competitor is not ready either physically or mentally, they will not put you forward to compete in the Finale. If you do not feel comfortable with the thought of taking part in the finale, you will not be asked to do so. It’s 100% up to you. Is Wimp 2 Warrior a TV show? No, Wimp 2 Warrior is not a TV Series. We have been featured across the world on FOX Sports, and different Wimp 2 Warrior series across the world occasionally release video footage of the competitors' progress throughout the series. Wimp 2 Warrior works with all the relevant regulatory bodies to ensure the delivery of a safe amateur MMA. We do not conduct drug testing. However, anyone who is intoxicated or under the influence of any legal or illegal substance would not be permitted to train that day. Were that to be a recurring issue, it would then jeopardize the participant's eligibility to continue training in the program. Further, should the coaches suspect the use of performance-enhancing drugs by any competitor, then we would reserve the right to conduct additional investigations. As this is an amateur program that is primarily about building fitness and foundation skills in MMA, we have never needed to drug test. Of course, all participants in the program need to adhere to the relevant policies of the gym in which they train as it relates to the safety of everyone in the program. In regards to the Finale, all competitors are subject to the standard rules and requirements of the relevant Athletic Commission or regulatory body. We are absolutely focused on participant safety at all times, and this has been the cornerstone of our business for over 5 years. Prior to the Program commencing, if you have advised us, we can provide a full refund of all fees paid, including the minimum deposit. If the Program has commenced, then Wimp 2 Warrior will retain the minimum deposit and a pro rated amount calculated against the amount of training that has elapsed. Namely, the pro rated balance of the program not used (less deposit) may be refunded. If we are unable to run the Program at all in your location, we will provide a full refund of all fees paid, inclusive of the minimum deposit. If we are unable to run the entire Program in your location and cannot provide another suitable gym and coaching, then we will refund the pro rated amount of the Program not delivered. If an injury prevents you from continuing in the Program, then you will be eligible for a refund as per the pro rated terms described above, namely Wimp 2 Warrior will retain the minimum deposit and the pro rated amount of training that has elapsed. What are the Terms and Conditions for Wimp 2 Warrior? You can find our Wimp 2 Warrior Terms and Conditions here.